Welcome to TickPick’s Pepsi Center Seating Chart. Choosing which tickets to buy for any event is difficult, which is why we created this Pepsi Center seating chart guide. This guide will help you decide which tickets to buy for any event, such as a Cheap concert, Denver Nuggets, or Colorado Avalanche game at the Pepsi Center. In each section, seat number one is closest to the lower section number. For example, seat 1 in Section 122 is on the aisle next to section 121. This means, that when you’re looking for tickets in higher sections (such as section 146), the higher the seat number the closer you are to the center of the ice or center of the court. But in lower sections such as 102 or 104 you’d want a lower seat number to be closer to the action. The section numbers begin with 102 (located near center court/ice) and move clockwise around the stadium, going by even numbers until they reach back around to 148. Each row has 18 seats in sections 124-128, 102, 104, 146, 148. The other sections vary depending on the row. Be sure to check the seating charts below for front row tickets. Row One, especially for Nuggets and Avalanche games, isn’t necessarily the first row. The section numbers begin with 202 (located near center court/ice) and move clockwise around the stadium, going by even numbers until they reach back around to 260. Most rows have 15 seats in each row. These sections are club seating and come with extra amenities, including wait service. Club Level is highly recommended, and are only slightly more expensive than the bleacher seats above them. Most rows have between 8 and 12 seats depending on the row. Check the map for exact details on your row. If you’re choosing a seat in the 300’s, go with one higher up. Many of the lower rows have views partially obstructed by railings. Don’t be alarmed. The stadium is small enough that you can see the names on the back of jerseys up there in the top seats. The Nuggets Bench is located in front of section 148. The visitors bench is in front of section 102. With the exception of the lower level seating, everything remains the same. Don’t be fooled by row 1! In sections 124-128, 102, 104, 146, 148 row one is not court-side. For Nuggets games rows AA & BB are added in front of the numbered seats. Something similar happens in sections 110, 116, 134, and 140. However they add even more seats. Here, court-side seats are labeled CS1 and CS2. Additionally, there are 9 rows labeled AA – II that are put ahead of the numbered seats. Sitting behind the team’s benches can be much more expensive than the same seats on the opposite side of the arena. Club Seats offer the perfect mix of VIP luxury and close-to-the action views. The amenities included in any Denver Nuggets Club Seats purchase include special parking privileges, food and drink services, and exclusive concourses and entrances. 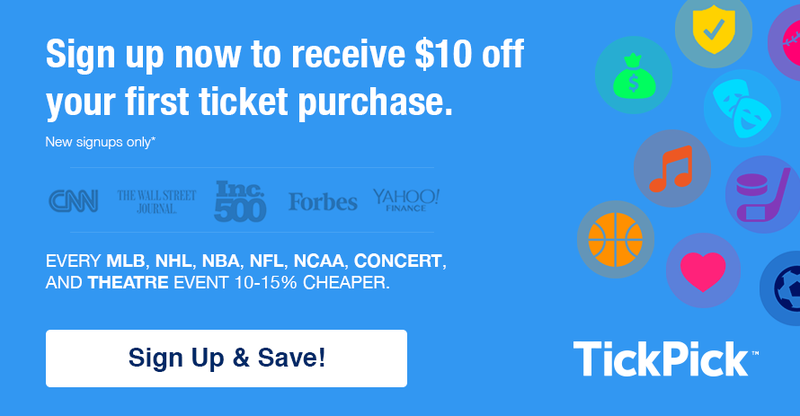 Buy Cheap Denver Nuggets Tickets without paying any service fees here on TickPick! Like during Nuggets Games, Sections 102, 104, 146, 148, & 122-128 add Rows AA & BB to the front of the section. Remember that these additional rows mean that Row 1, contrary to what you may think, is not actually the first row. Beware when buying front row tickets. The amenities included in any Colorado Avalanche Seats purchase include special parking privileges, food and drink services, and exclusive concourses and entrances. Buy Cheap Colorado Avalanche Tickets without paying any service fees here on TickPick! Floor Seats – Unlike a lot of large venues, the Pepsi Center doesn’t set up the floor level with standing room or general admission. Instead they offer ticketed seats, just like the rest of the venue. But don’t fret. From personal experience I can tell you that rock, rap, and even electronic concerts are just as enjoyable from a seat as they are standing. Stage – Concerts at the Pepsi Center are generally set up just like the picture above. Although, on some rare occasions, the stage is located in the center in which case sections AAA-FFF still exist, just moved around a little bit. Views – Generally speaking, it is your best choice to avoid seats behind the stage and in the lower rows of sections 110 & 116 because of the possibility of obstructed views. Like most large arenas, concessions are decently over-priced. Unlike most arenas though, you don’t really have much choice when it comes to drinks. The Pepsi Center sells almost exclusively Pepsi products for obvious reasons. And since you’re up in the rocky mountains of Colorado, why would they need to sell anything but Coors? PARKING IS CASH ONLY. The official Pepsi Center Website omits this detail so make sure you remember to bring more than your credit card to the game. It’s hard to avoid at almost any concert or sporting event, but the post-event traffic can be particularly terrible at the Pepsi Center. A good suggestion would be to go to dinner somewhere downtown first, where you’ll be able to find quicker, cheaper parking a few short blocks from the stadium. One thing that the Pepsi Center definitely does right is public transportation. An RTD Bus stop is located right next to the grounds at 9th Street and Auraria Parkway. The C&E light rail lines run right to the stadium. If you have any questions regarding the Pepsi Center seating chart, ask away in the comments below.